[Glasses await a wine-tasting event in Slovenia’s vineyard region. Try this: Google the words “Melania tourism.” Now watch your computer screen fill up with reports on how some Slovenians hope to cash in on their new renown as the birthplace of the U.S. First Lady, especially around her small hometown of Sevnica. Be afraid, Slovenia, be very afraid. For me, this is a stomach-clencher. Over my career I have become sadly used to revisiting destinations I remembered fondly from some previous decade, only to find them spoiled to varying degrees by irresponsible tourism development. What a joy it was then to revisit Slovenia last year after a 10-year interval. It was even better than before—and before had been pretty good. The capital, Ljubljana, had expanded its already charming traffic-free core, the food and wine selections had grown, the citizenry was affable, tourism was not yet out of control, and environmentally friendly policies were in place seemingly everywhere. Conveniently for monolingual me, English was spoken widely. 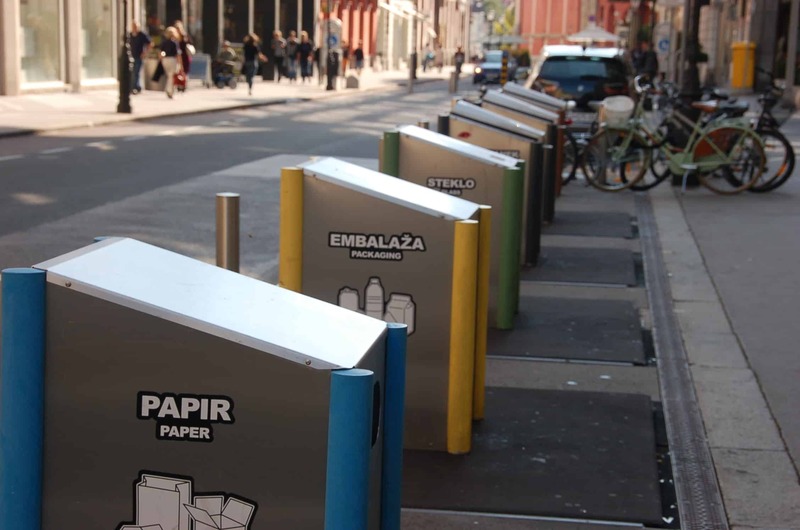 Recycling bins and bicycles typify Ljubljana’s green policies. Outside the capital, the area around impossibly beautiful Lake Bled was imposing its own tourism traffic controls, and assorted sustainability practices were underway in the gorgeous Julian Alps. Recycling and bicycling were strongly encouraged even in the modern city of Nova Gorica, Slovenia’s nod to mass casino tourism for numerically challenged Italians from across the border. More than a dozen municipalities around the small country have signed into the Slovenia Green plan. No not Melania. She seems an amiable sort, perhaps with questionable taste in choosing a husband and by extension his taste in resort development and his need for gold-plated seat-belt buckles on his plane. (True. Google it.) No, it’s the shadow of Donald himself. He may choose to pay a state visit at some point! That’s what worries me. Be afraid. Not so much the impact on Slovenia of Trump the president, but of Trump the developer. Long before Trump was a force in politics, I would counsel destination tourism planners: “Look at whatever Donald Trump is doing, and do the opposite.” Trump-style development has typically ignored local culture, environment, history, ecology, and destination economic benefit (while loudly proclaiming otherwise), and instead celebrated a fixation not on destination character, but on self-indulgent luxury and, of course, the Trump brand. His zero-sum, you-lose-I-win approach to deal-making flies in the face of the symbiotic relationship that sustainable tourism should have with its surrounding communities. In short, Trump is the antithesis of everything that has made Slovenia such a success as a genuine, well-cared-for destination. Not long after my first visit, National Geographic’s former chairman of the board, Gil Grosvenor, cornered me and said he wanted an idea for a European vacation—“Europe the way it used to be.” Charming. Was there any place left like that? “Have you ever been to Slovenia?” I asked. No, he hadn’t. He went. He liked it. 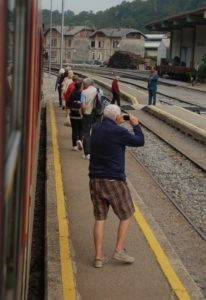 Tourists disembark at a Slovenia railway station. Well, I like it, too. And the idea of Trump appearing and spewing his notions of tourism success across this pleasant land? I can only hope Slovenia’s wiser heads prevail. Rather than boasting about increased U.S. arrivals coming for a trivial reason, I would hope Slovenians would work to send those Americans home with a deeper appreciation for Slovenian values. Melania’s town of Sevnica should join the Slovenia Green program. (They say they will!). Boast about that, instead. Let the Trump notoriety become a tourism teaching opportunity. Let people see how to put charm, health, and authenticity into the travel experience. Let every visitor leave with a deeper appreciation for the sophistication of this small country. Is it sophisticated enough to survive some future Trump visit? I’m betting so. Melania herself, they say, speaks five languages. Now that’s very Slovenian. 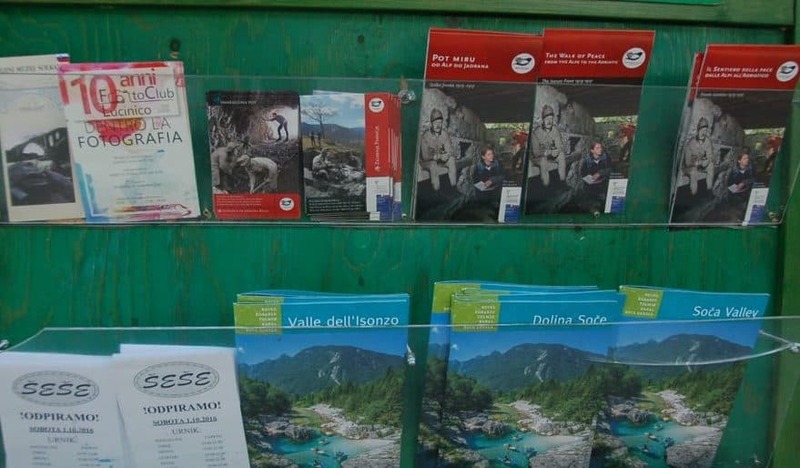 Multilingual brochures welcome visitors to Slovenia’s Soca Valley. 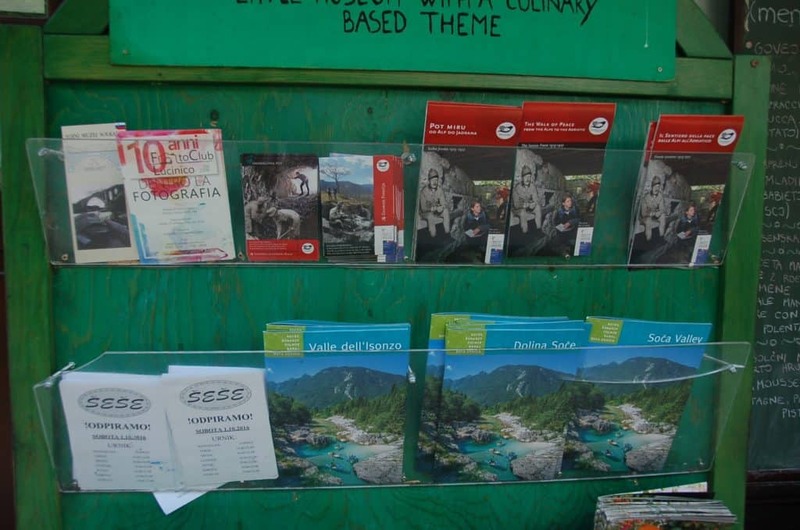 This entry was posted in Stewardship and tagged Slovenia, sustainable, tour, tourism management, Tourtellot, Trump by Jonathan Tourtellot. Bookmark the permalink. JBT, An enjoyable & insightful read. I share your concerns. When I had my travel agency, I never sold his hotels as they were not elegant luxury but garishly tacky. I have been in one and it was embarrassing, embodying the very worst of American resort development.